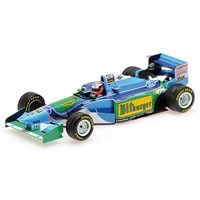 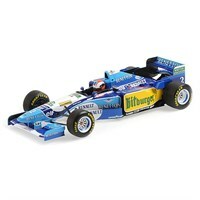 Minichamps 1:18 diecast model of the #4 Tyrrell 018 as driven by Johnny Herbert in the 1989 Belgian Grand Prix. 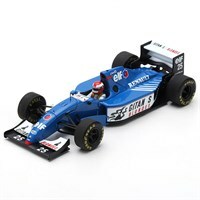 Spark 1:43 resin model of the #25 Ligier JS39B as driven by Johnny Herbert in the 1994 European Grand Prix. 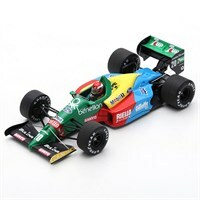 Spark 1:43 resin model of the #20 Benetton B188 as driven by Johnny Herbert in the 1989 Brazilian Grand Prix. 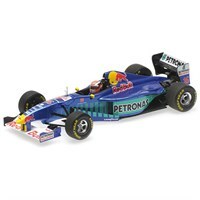 Minichamps 1:43 resin model of the #6 Benetton B194 as driven by Johnny Herbert in the 1994 Australian Grand Prix. 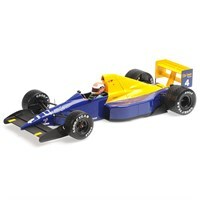 Spark 1:43 resin model of the #12 Lotus 107 as driven by Johnny Herbert in the 1992 French Grand Prix. 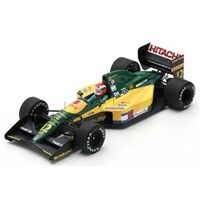 Spark 1:43 diecast model of the #12 Lotus 102 which Johnny Herbert drove in 1990.